For the 26th year in a row, winemaker and philanthropist Bruce Cohn is presenting the annual charity concert fundraiser at his estate winery in Glen Ellen this weekend, Saturday and Sunday, Oct. 6 – 7. The list of local charities that have benefited from the more than $6 million dollars raised over the course of the years is far too long to mention in this column, but this years beneficiaries include the Sonoma Valley Education Foundation, Sonoma Valley Mentoring Alliance, Redwood Empire Food Bank, the Guardsmen, Operation Homefront, and American Legion Post 489. In addition to giving back to the community, Cohn has brought acts that typically you would only see in stadiums to the intimate setting in Sonoma Valley, acts such as Journey, Cheap Trick Todd Rundgren, Lynyrd Skynyrd and more. This year is no different. It honestly wouldn’t be a B. R Cohn show without the timeless tunes from the Doobie Brothers, who will be headlining both days, but the Saturday show will be something special; Michael McDonald, who headed the band after the departure of Tommy Johnston in the mid ‘70s, will be playing with the whole band for first time on stage in six years. Saturdays show will also feature Buddy Guy in his first appearance at the venue, WAR, the Turtles, Lara Johnston and Scars on 45. Sunday’s line-up has the Doobie Brothers and friends, Kenny Loggins, Dave Mason, the Turtles, Zen Road Pilots, Tyrone Wells and Pat Simmons Jr. Tickets will be available both days. For more info, point your browser to www.brcohn.com. Glen Ellen seems to have a lot going on this weekend, so let’s dive into that right now. Olive and Vine has live music back every Sunday night, with this Sunday, Oct. 7, featuring Sean Carscadden and Marty O’ Reilly. Unlike last years format, which was more singer-songwriter orientated, now the venue is billing the night as “Supper Club Sunday” where folks can enjoy dinner and a show. For reservations and more info, call 996-9152. The new Gristmill Inn Bar and Grill has Powerglide on Saturday, Oct. 6, for an 8 p.m. show. 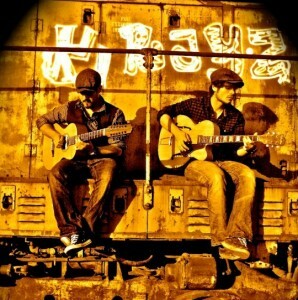 These local boys have been playing together for years and lay down blues, rock and a little country. There is no cover for the show. The Jack London State Historic Park has a special piano concert by the Jack London Piano Club as a fundraiser for the park on Saturday, Oct. 6, kicking off at 4 p.m. The concert will open with vocalist DeAnne Reeder singing Jack London’s favorite song, “Recompense,” followed by Charmian’s favorite song, “In the Valley of the Moon.” Club pianists who will be performing include Pat Bonnoitt, John Dinwiddie, Jud Goodrich, Mae Lucas, Jack Power, Alexia Stevens, Nancy Watson, Carol Wilcoxson and Jim Wittes. Tickets are available online only at www.jacklondonpark.org and for more info, call 938-4827. Up the road a bit in Kenwood, the Souluna Yoga Center will have a show on Saturday, Oct. 6, featuring 2Friends and Katie Benz. Showtime is 5 p.m. and admission includes a complimentary glass of wine. For more info, call 833-1068. Meanwhile, back in town, the Kathmandu Corner has re-opened for live music starting tonight, Oct. 5, with Sean Carscadden doing a solo show. Saturday, Oct. 6, it’s JoyRide and on Sunday, Oct. 7, the corner welcomes Jason Walter. There will be a special appetizer menu available and all shows kick off at 7:30 p.m. There is no cover for any of the shows. Right across the alley at Murphy’s Irish Pub, there is live music all weekend as well, kicking off tonight, Oct. 5, with Dan Martin and Friends, for an 8 p.m. show. Saturday, Oct. 6, it’s Blue House, playing blues and more, also at 8 p.m. Sunday, Oct. 7, there are 2 shows, a Celtic pub jam kicking off at 3:30 p.m. and Loose Shoes going off at 6:30 p.m. There is no cover for any of the shows at the pub. The Annex Wine Bar next to the Community Cafe on West Napa Street welcomes Glenn Carter tonight, Oct. 5, for a 6 p.m. show. There will be small plates and wine available. 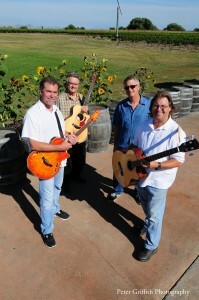 Sonoma Springs Brewery has Tom Martin tonight, Oct. 5, for a 7 p.m. show. There is no cover. The Valley of the Moon Order of the Sons of Italy celebrates its Columbus Day Dinner Dance on Saturday, Oct. 6, beginning at 6 p.m. in Father Robert’s Hall at St. Francis Solano Church, 469 Third St. W. Proceeds from the event benefit the Sons of Italy’s scholarship fund. The evening begins with a no-host cocktail hour at 6 p.m. followed by a dinner at 7 p.m. Attendees can dance to the classic music of Swing and a Miss from 8 to 10 p.m. For tickets and more info, call 938-1295 or 938-5691. The Plaza Bistro welcomes Charged Particles tonight, Oct. 5, kicking off at 7 p.m. 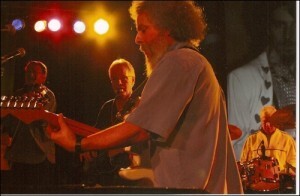 The band features Murray Low on keyboards, Aaron Germain on bass and Jon Krosnick on drums. The trio’s repertoire blends jazz styles with elements from Latin music, classical music, funk, and more. There is no cover for the show. There is no jazz scheduled for Saturday, Oct. 6. Yoga Community has the sounds of Easily Distracted on Saturday, Oct. 6, kicking off at 7:30 p.m. Yoga Community is in the West Plaza Shopping Center on Fifth Street West. For more info, call 935-8600. 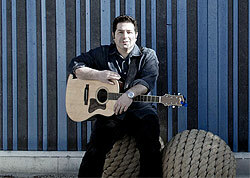 The Ledson Lounge welcomes Dan Daniels and Nicky DePaola tonight Oct. 5, starting at 7 p.m. If you are heading to the Sonoma Valley High School football homecoming game tonight, you can catch the Cork Pullers singing the National Anthem. The El Verano Inn has a rap show tonight, Oct 5, which features RBL Posse, Young Lay and DJ Saucy One. Showtime is 9 p.m. The Sebastiani Theatre has a musical movie on Sunday, Oct. 7, that features guitarist Pat Metheny. “The Orchestrion Project” was filmed by Grammy and Emmy Award winning directors Pierre and Francois Lamoureaux at the former Saint Elias Chruch in Greenpoint, Brooklyn, in Nov. 2010. In this film, guitarist Pat Metheny performs “The Orchestrion Suite” as well as other tracks from across Metheny’s prolific career. Showtime is 7 p.m. and for more tickets and more info, call 996-9756. Rich Little will be playing his Chapman Stick for the pleasure of the patrons of the Big 3 Diner on Monday, Oct. 7, starting at 6 p.m. If you’ve never seen a Chapman Stick in action, check this show out. The Blue Moon Saloon has Karaoke on Saturday, Oct. 6, kicking off at 9 p.m. Sunday, Oct. 7, it’s the blues jam, going down at 10 p.m. There is no cover for either night. Loosely Covered will be at Sprenger’s Tap Room in Santa Rosa on Saturday, Oct. 6, for a 9 p.m. show. The Whiskey Thieves will be playing the CHEERS! St. Helena after party tonight, in St. Helena, kicking off at 8 p.m. 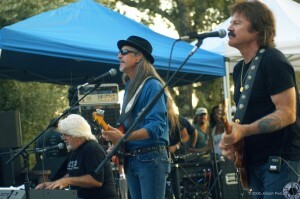 The Tuesday night market has Ten Foot Tone tonight, Aug. 28, under the palm tree at 5:30 p.m. The Blue Moon Saloon has DJ Saucy 1 with special guests tonight, Aug. 28, at 9 p.m.
Murphy’s Irish Pub presents the after party with Rag Tag Sullivan tonight, Aug. 28, after the Tuesday night market. Murphy’s Irish Pub has Solid Air on Thursday, Aug. 30, for a show that kicks off at 7:30 p.m.
Sebastiani Winery and Vineyards welcomes BackTrax on Friday, Aug. 31, kicking off at 6 p.m. The night is also a food truck Friday event, with plenty of off the grid snacks available. 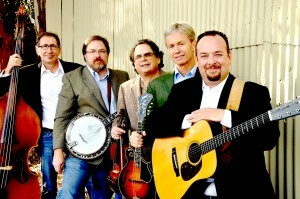 Murphy’s Irish Pub presents Larry Carlin and Mostly Simply Bluegrass on Friday, Aug. 31, for an 8 p.m. show. 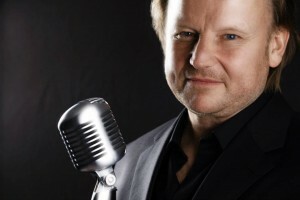 The Plaza Bistro welcomes the Dan Zemelman Trio on Friday, Aug. 31, for a 7 p.m. start time. 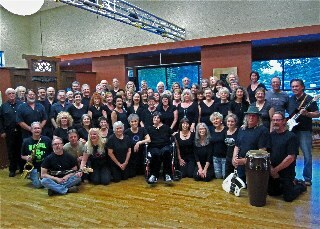 The popular rock choir Vox Populi will be back at the Sonoma Community Center on Monday, July 2, for a command performance of “People get ready…There’s a train a-comin’” that will feature the music of Stevie Wonder, Annie Lennox, the Beatles, the Kinks, Michael Jackson and more. Accompanying the choir will be Plan Be. 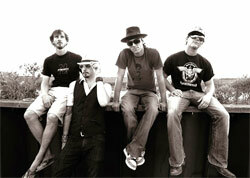 Formed in 2007, Vox Populi is the brainchild of local musician, Mark Dennis. The number of choir members has swelled to over 70 fun-loving, talented singers who perform sophisticated multi-harmony versions of well-known rock and roll songs. 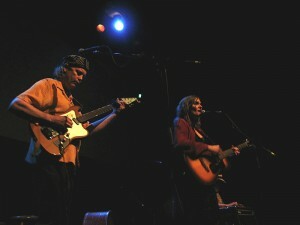 The show kicks off at 7:30 p.m. and a portion of the proceeds will benefit the Sonoma Rotary Challenge Grant. For tickets and more info, call 938-4626. For the fourth year in a row, B. R. Cohn Winery will be presenting the Charity Car Classic on Sunday, July 1, with a number of classic cars on display, food, wine and live music from local favorites Tudo Bem. The event will benefit the Redwood Empire Food Bank. Admission is free and all are welcome, but any donations are welcome. The event starts at noon and runs until 5 p.m. 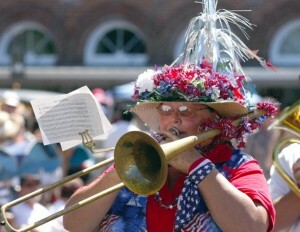 The Sonoma Hometown Band is welcoming all that want to participate in the annual July fourth parade around the Plaza with the band to show up at one or both of the rehearsals they are having. The first one is on Sunday, July 1, and the second on Monday, July 2, both days at 6 p.m. in the McDougall Center at the Sonoma Development Center in Glen Ellen. For more info, call 538-8482. Sean Carscadden has thrown together an all-star band for his show tonight, June 29, at Steiners Tavern that features Mikey Cannon on drums, Bob McBain on keyboards and Cliff Hugo on bass. Showtime is 10 p.m. and we suspect there will be a groove or two laid down. There is no cover. Gundlach Bundschu Winery presents an evening of food, wine, film and dancing on Saturday, June 30, with the presentation of “Take this Waltz” which has not yet been released in theaters, followed by dancing to Crossfire. The evening gets underway at 6 p.m. and there will be food trucks at the event as well. For tickets and more info, point your browser to www.sonomafilmfest.org. Sebastiani Winery and Vineyards presents 5 a.m. tonight, June 29, at 6 p.m. There’s some sort of irony there but we’re not sure what. It will also be a food truck Friday event, with up to five food trucks in the parking lot. There is no cover for the event and all are welcome. The Swiss Hotel has the Neverland Express on Sunday, July 1. The band is a collage of locals headed up by winemakers Rich Little and Jeff Bundschu and Scott DeMartini as well. The show will be on the back patio and kicks off at 3 p.m. There is no cover. Murphy’s Irish Pub welcomes the David Thom Band tonight, June 29, for an evening of traditional bluegrass. Saturday, June 30, it’s Blue House. 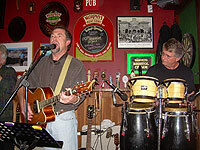 Both shows kick off at 8 p.m. Sunday, July 1, it’s a Celtic pub jam, for an early start at 3:30 p.m. There is no cover for any of the shows at the pub. The Plaza Bistro has violinist Mads Tolling tonight, June 29, for a 7 p.m. show. Tolling is an internationally renowned violinist, and accomplished composer and is also a member of the two-time Grammy award-winning Turtle Island Quartet. As a soloist, Tolling regularly tours as jazz violinist with bassist Stanley Clark. Since 2007, Tolling has lead his own group, the Mads Tolling Quartet. 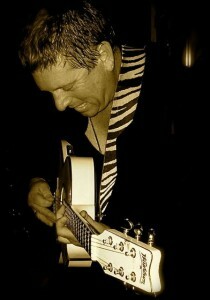 Saturday, June 30, also at 7 p.m., it’s local jazz guitarist Randy Vincent. 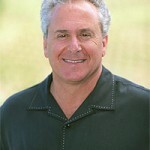 Vincent began his career in Florida and moved to the San Francisco Bay Area in 1980. Vincent divides his time between performing and teaching, and has performed and/or recorded with Joe Henderson, Dizzy Gillespie, Bobby Hutcherson, Leny Andrade, Mel Martin, Benny Barth, and many more. There is no cover either night. Jason Bodlovich and his group will be on the road and busy on Sunday, July 1, with a show at Truett and Hurst Winery in Dry Creek Valley at 1 p.m. followed by an evening performance at the Russian River Brewing Company that same night at 7 p.m.